Apple landed on just the right size when it came up with its 4-inch screen for the iPhone 5, according to company CEO Tim Cook. "We've put a lot of thinking into screen size and we think we've picked the right one," Cook said when quizzed about Apple developing larger screened phones during Cupertino's earnings call today. Cook's comment came on the heals of praise he lauded on the iPhone 5's display. "The new 4-inch Retina display is the most advanced display in the industry," he chirped. "No one comes close to matching its quality. We were able to develop a larger screen size without sacrificing one-handed use." While Apple could always pull a fast one on us and whip out a 4-inch plus phone during its next product extravaganza, Cook basically said that the company is sticking with 4-inch iPhone screens for now. 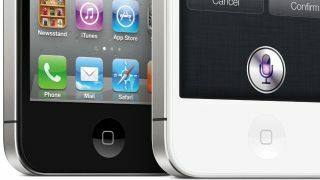 The iPhone 5, Cook noted, was in supply constraint during the beginning of the quarter but eventually caught up with demand, while the iPhone 4 was shortened throughout. He also did something uncharacteristic and addressed a specific rumor about whether iPhone production had been cut due to a slump in orders. "I suggest it's good to question the accuracy about any kind of rumor about build plans," Cook said. "Even if a particular data point were factual, it would be impossible to interpret that data point for what it meant for our overall business." Thanks for the tip, Tim.